Mix oil and garlic together, brush on bread and grill or broil until lightly browned. Toss tomato, turkey, cheese and pepper together. 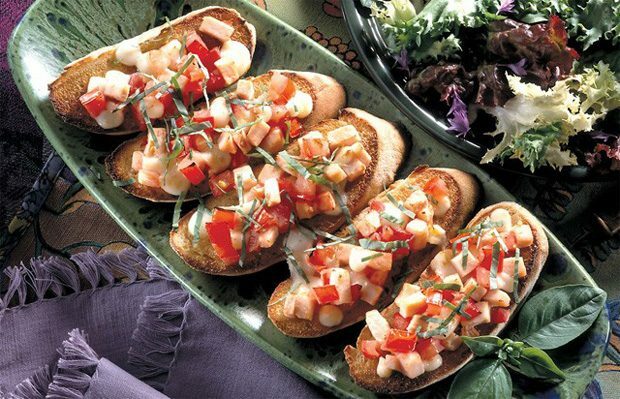 Spoon onto toasted bread; grill or broil just until cheese starts to melt. Sprinkle basil on top. Cut in half to serve. A great way to use up your smoked turkey left-overs!